Go off the beaten path and create some awesome memories. This past week, I was fortunate enough to head to Edinburgh, Scotland with a group of my best pals! I had no idea what to expect once we got there, but we were overwhelmed with the endless opportunities presented to us, both touristy and non-touristy. I put together five of our favorite activities that we couldn't have pictured the trip without. 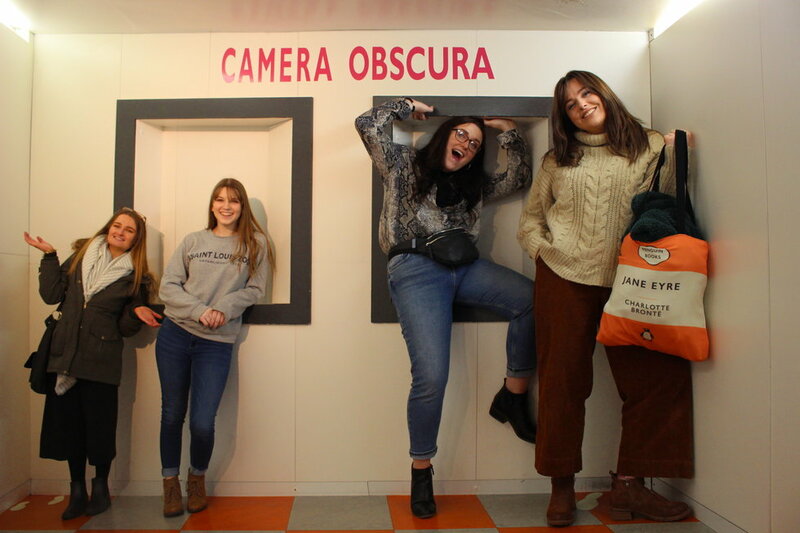 Our first day there, we went into the Camera Obscura Museum, which had tons of fun optical illusions to explore, including a mirror maze, art, and a light vortex to walk through. It was a ton of fun to take our minds on a trip and laugh at how crazy certain mirrors made up look. Check out their website here! We went for coffee at the Elephant House Cafe! 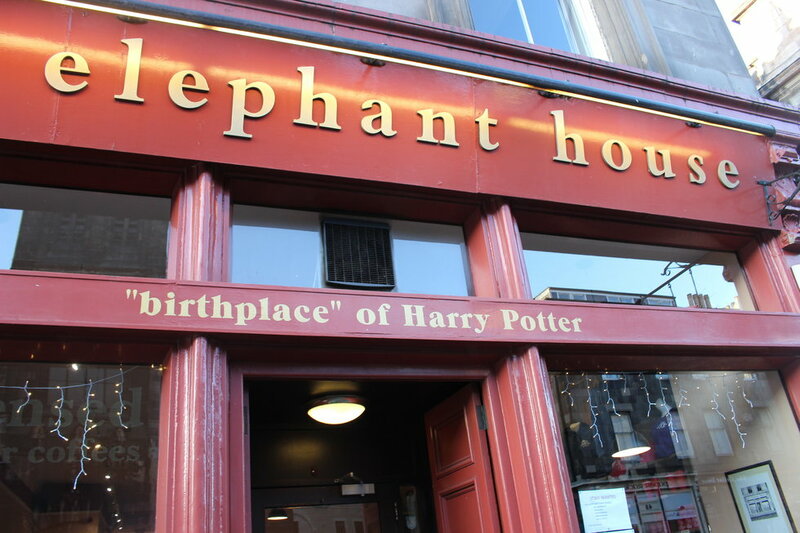 It was in this very cafe that J.K. Rowling dreamed up and wrote Harry Potter. There are pictures of her writing in the cafe which are awesome to look at. The bathrooms are also covered in messages and thank yous to Rowling from proud Harry Potter fans. Nearby is the graveyard with the stone used for Tom Riddel's grave and many names that became a part of the Harry Potter world. Edinburgh Castle is definitely a beautiful site! 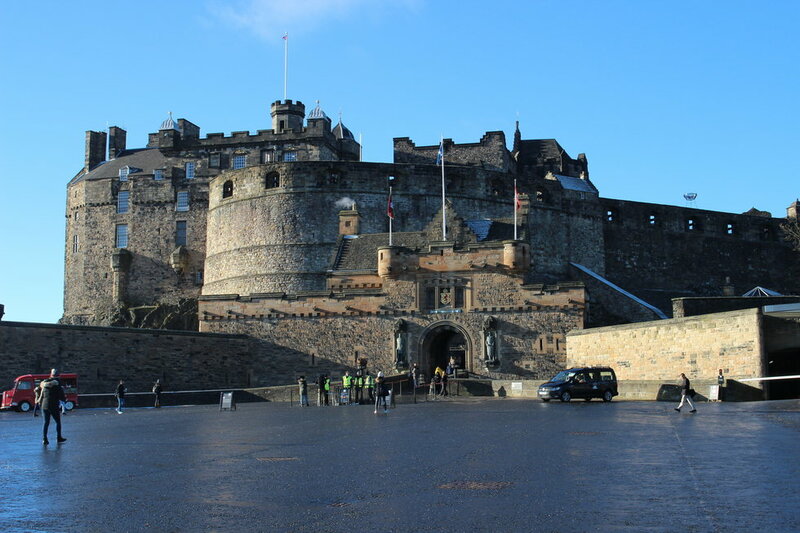 You can see over Edinburgh from the incredible look-out points, see a cannon shot off, the old prisons, war museum, and the royal crown jewels. It is on the expensive side, but you can spend hours wandering the land. It is definitely a must-do! The National Museum of Scotland can take up almost an entire day! 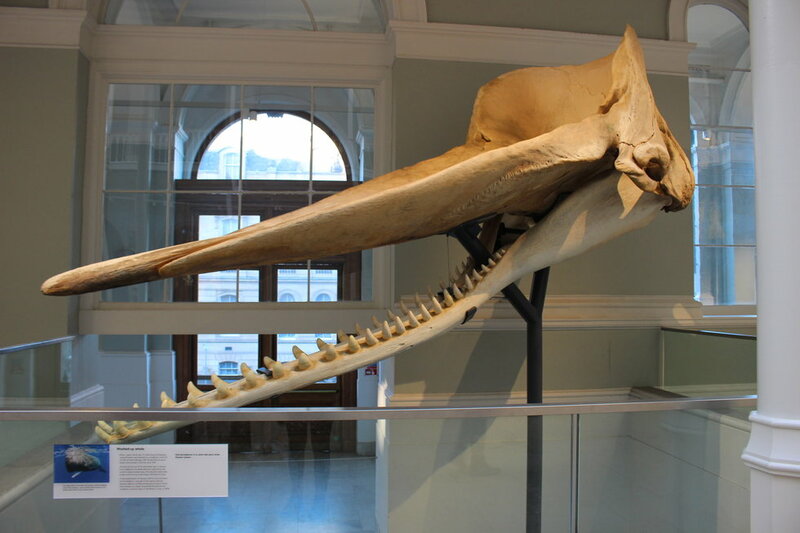 There are loads of amazing exhibits to discover. From animals, to space, to inventions, and even robots, there are endless discoveries to be made for all ages. You can wander around learning for hours, spend some time in the cafe, and pick up souvenirs in the gift shop! There are a ton of walking tours to try out in Edinburgh. 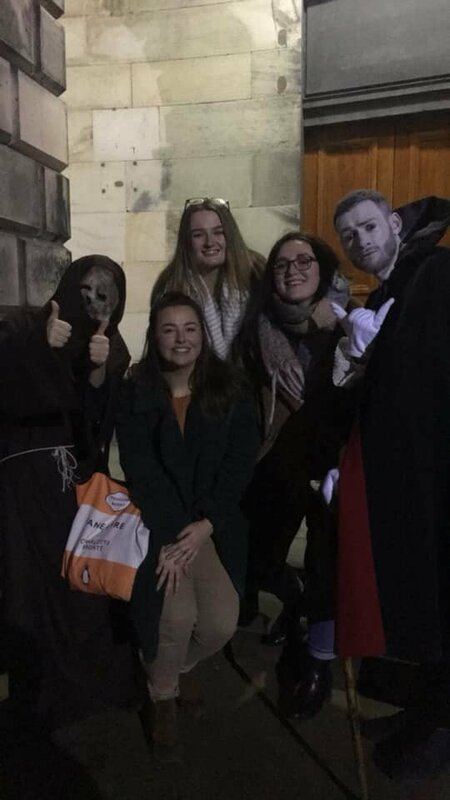 From Harry Potter tours, to ghost tours, to the comedy killer tour we went on, there are tons to choose from. We got to see tons of the sites Edinburgh had to offer, along with learning the sinister history behind the city. There were witch trials, serial killers, and run-ins with the plague, along with some jump scares along the way. It was an absolute blast and kept us on our toes! Overall, Edinburgh was an incredible city with unbelievable sites and activities. I definitely recommend it to travelers of all ages! Be sure to get over there and explore!